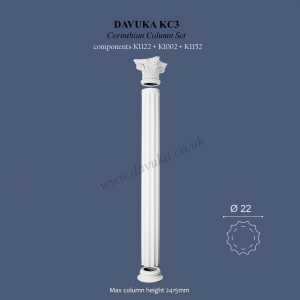 We supply both internal and external grade columns to best suit purpose. 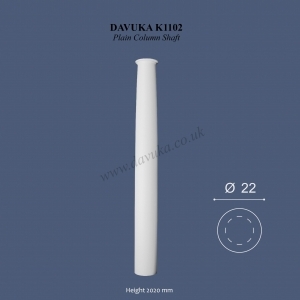 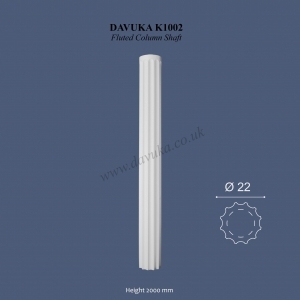 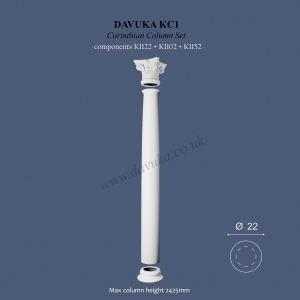 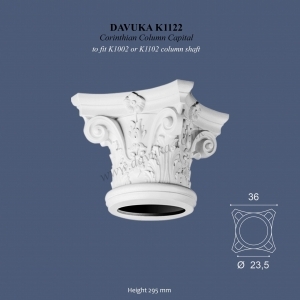 Designed primarily for internal use, our Roman and Greek styled columns are supplied in a primer base so they can be easily painted/ marbled/ textured to suit individual decor preference. 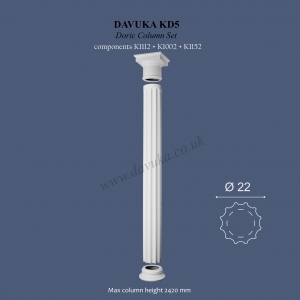 Our external columns are manufactured in a high quality, strong GRP that is a finished product and maintenance free. 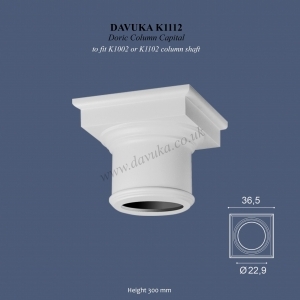 Back fill with a sand/cement mix if necessary to provide load-bearing capability. 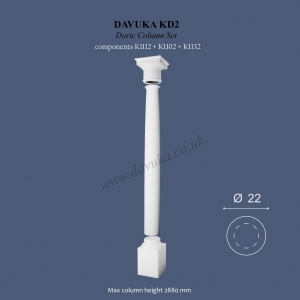 Guaranteed for 25 years. 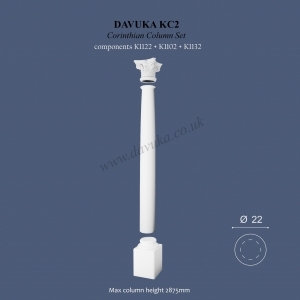 All our columns are available in ‘halves’ if needed to wrap around an existing structural support. 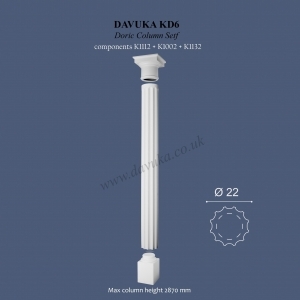 Pilasters are another form of wall decoration to add that extra element of grandeur. 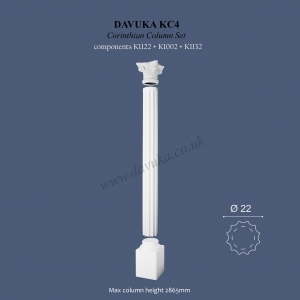 Taking up less room than a half column, they sit flat against the wall.